Power bills can be a real drag, and while some PCs make it easy to calculate how much power is being used, especially when the PSU is highly efficient, there can still be surprises. Some people might appreciate the chance to see just how much power their appliances and computers use. 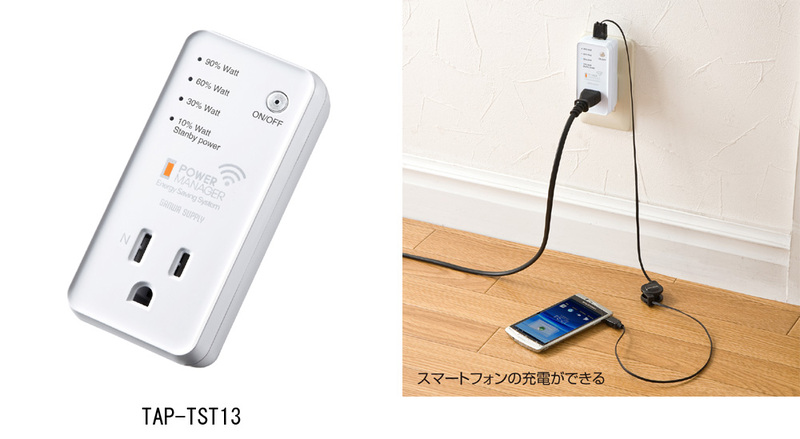 To allow for such measurements, the Sanwa Supply has invented the "TAP-TST13" Smart Plug, according to Tech-On! The small gadget only needs to be placed between the power outlet and a device whose power consumption is measured. A smartphone, provided it has the accompanying mobile app installed, can then be used to supervise the energy consumption. And since people might want to do something else in the meantime, the app even has "schedule management" function that automatically turns off the phone when a preset time has elapsed. The price of the gadget is ¥24,800 (approx US$269 / 204 Euro).